The Race: Here's the report from winner Hermann Pernsteiner's Bahrain-Merida team. 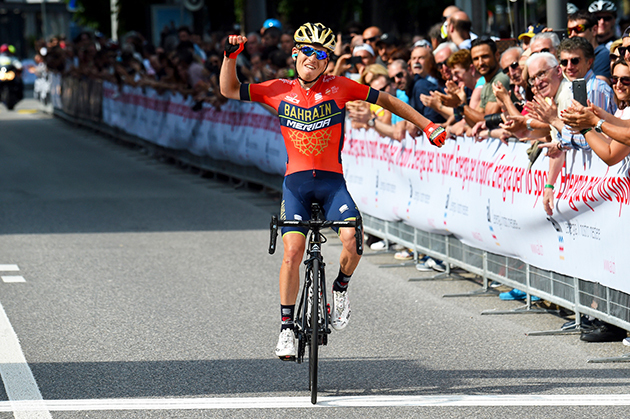 Lugano (Switzerland), June 3rd – Hermann Pernsteiner takes first win in BAHRAIN MERIDA Pro Cycling Team jersey. 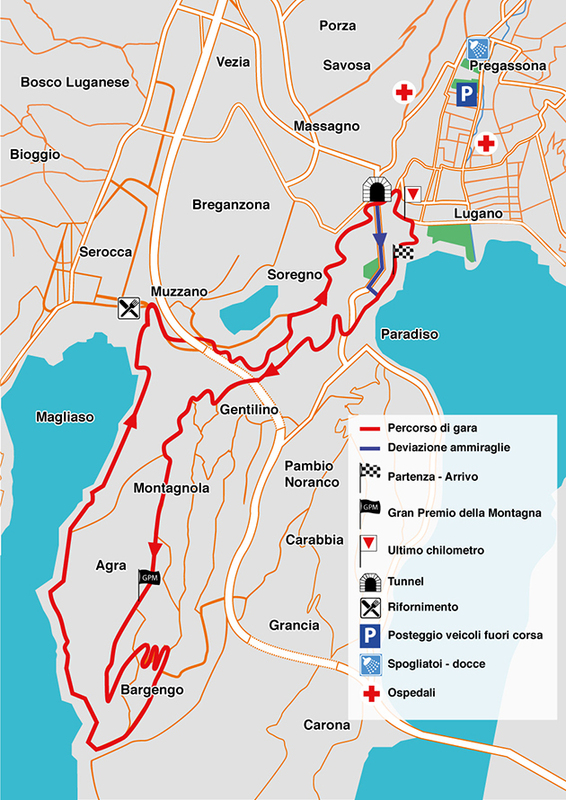 The 27-year-old Austrian rider claims a solo win at Gran Premio Città di Lugano, beating his breakaway companion Kristian Sbaragli (ICA) with an attack on the last lap. Hermann went into the breakaway with Sbaragli after 4 of the 8 laps of a 23.2km circuit (185.6km total) that riders had to ride today. “My rival is faster than me on the flat, so I knew that if we arrived together at the finish it would be difficult for me to beat him. Therefore I attacked at the beginning of the climb at the last lap. I wasn’t sure to be able to pull ahead of him. But despite I was tired due to the Tour of Japan and the jet-leg, I still had good legs and I go for it. Thanks to my teammates for their great help today”. A fantastic day for Team BAHRAIN MERIDA that round out the podium with Enrico Gasparotto 3rd “We were in the chasing group with Pozzovivo, Visconti and Antonio Nibali and we worked to stop any attempts of our rivals to close the gap. I’m happy with my third place and with the win of Hermann, but I was riding on my home roads so I’m a little disappointed as well, because I was looking for a victory”. 5 TBM riders out of seven finished in the top ten of GP Lugano: Visconti 5th, Pozzovivo 6th and Antonio Nibali 8th. “It could only finish with a success, otherwise I’d have been very upset” concludes Team BAHRAIN MERIDA Sports Director Alberto Volpi. 6 POZZOVIVO Domenico Bahrain-Merida s.t. 9 VENDRAME Andrea Androni Giocattoli-Sidermec s.t. 13 TOTÒ Paolo Sangemini-MG.K VIS-Vega s.t. 20 VELASCO Simone Wilier Triestina-Selle Italia s.t. 21 DELCO Lorenzo Biesse Carrera Gavardo s.t. 22 SPREAFICO Matteo Androni Giocattoli-Sidermec s.t. 23 GAROSIO Andrea D'Amico-Utensilnord s.t. 24 FRANKOVIC Mateo Meridiana Kamen s.t. 26 AMICI Alberto Biesse Carrera Gavardo s.t. 28 GANNA Filippo UAE-Team Emirates s.t.